To encourage, equip and empower Christians serving in public and private schools and to demonstrate God's love to the educational community. Enriching and equipping Spirit-filled ministers for effective ministry. Rescue provides current, practical information pertinent to the ministry of rescue. 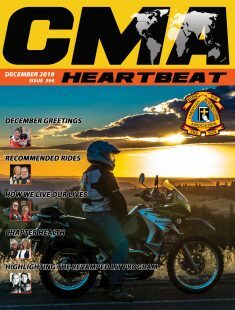 To inspire our leaders and members to be the most organized, advanced, equipped, financially stable organization, full of integrity n the motorcycling industry and the kingdom of God. To provide encouragement, inspiration, spiritual support, and practical help for ministry wives, women in ministry, and any woman desiring to go deeper with Christ in her faith and service. Provide theological and Biblical articles and other information helpful to the church. To evangelize, educate and edify. This journal provides interdisciplinary scholarship on issues related to biblical equality and justice in the church, home, and world. Command seeks to inform the military society about the OCF ministry; to teach biblical truth; to share the vision and purpose of OCF; to inspire those in the military to live for Christ; and, to provide a forum through which members may share vision and ideas. Apologetics to New Age/new religions/cults/occult/cultural trends. The bimonthly flagship publication of CCCA seeks to inform and inspire professionals serving in the Christian camp and conference community.